CVKeskus.ee’s annual survey unveiled the most desirable employers in Estonia, where Estonians would like to work the most. 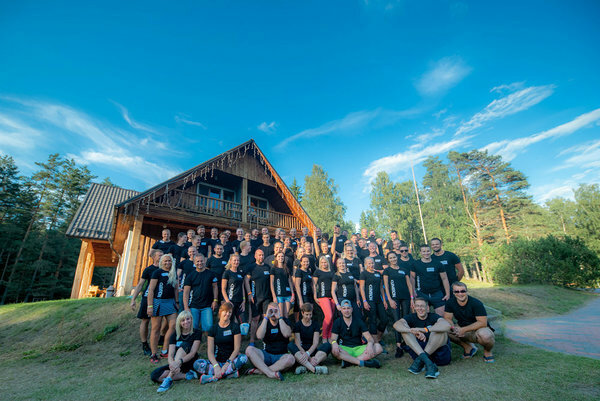 For the first time in the history of the survey, CVKeskus.ee also ranked SMEs, with an employee count of 50–249 people – a category, in which Cleveron won. In addition to the first place in the SME category, Cleveron was recognized for the largest rise in the TOP 20 ranking, which includes all Estonian companies. Last year Cleveron took the 19th place but rose to the 6th place this year. Henry Auväärt, CVKeskus.ee’s Baltics Communications Manager, noted that during the eight years of conducting the survey, he has rarely seen such a rapid rise in the overall ranking. Auväärt noted that an attractive image of an employer generates trust and a desire to join the company among job seekers and gives a noticeable competitive advantage in seeking out the best specialists. The companies named in the list offer a competitive salary and a supportive work environment, in which employees feel like they have development and career opportunities. 2019 Cleveron AS. EU Trademark number: 009609371. © Copyright. All rights reserved.